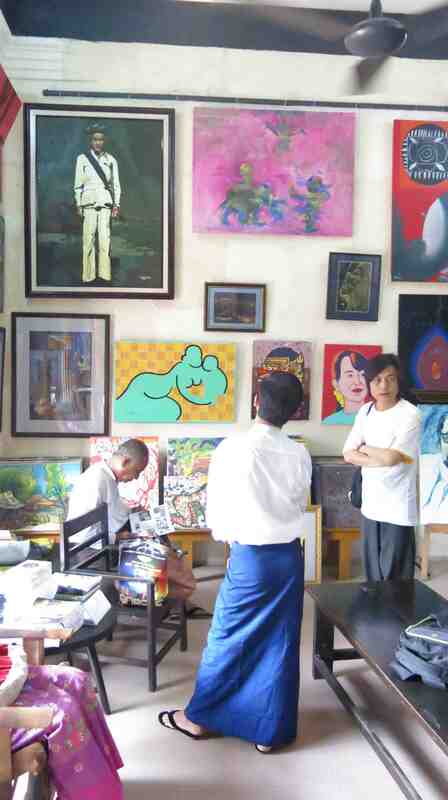 Bagyi Aung Soe has been called the country’s most wayward painter. While there is ongoing competition for that title, he may still be the top. His influence is still felt strongly today. 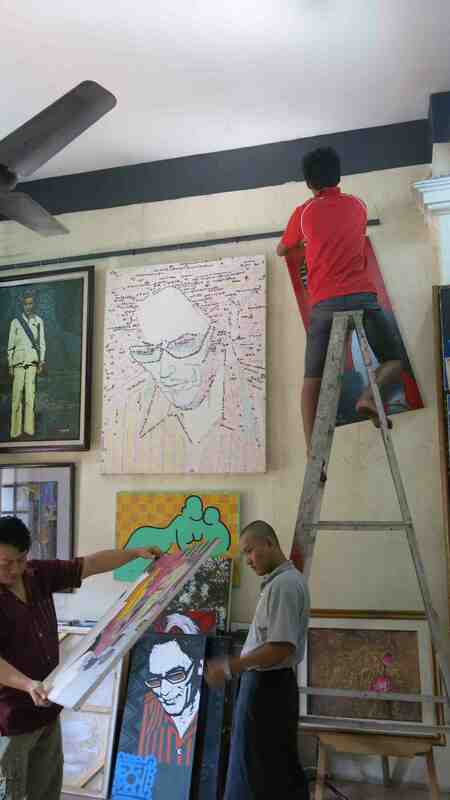 In this exhibition, we have some of his original works, portraits of him, paintings in homage to him, and others showing his legacy. 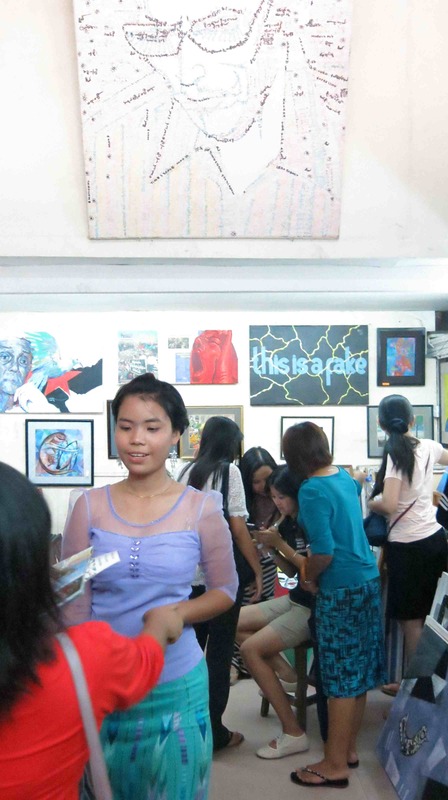 From 22-25 March 2013 at Pansodan Art Gallery, 286 Pansodan, first floor (upper block) Kyauktada, Yangon. Highly original, fond of mixing text in his paintings, controversial in his day but recognised by later generations. A short exhibition of a long legacy. 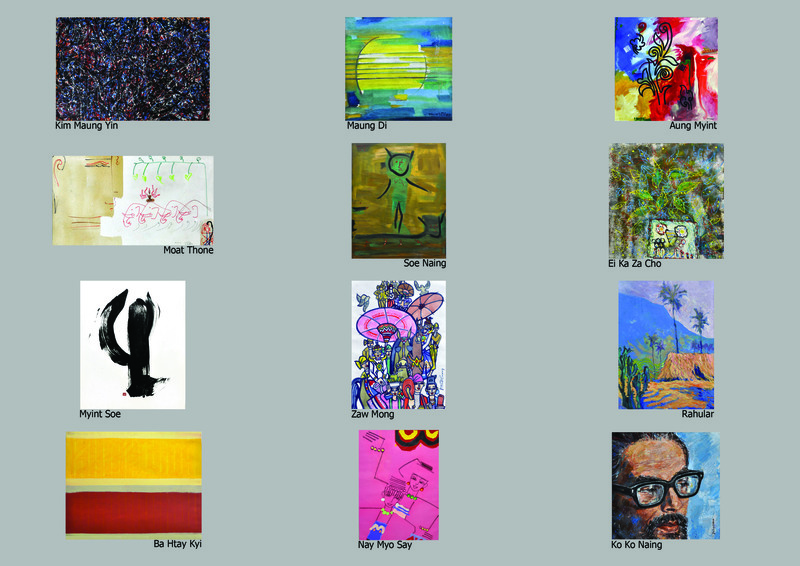 Bagyi Aung Soe blew the Burmese art world’s mind open with the freedom of his mind. 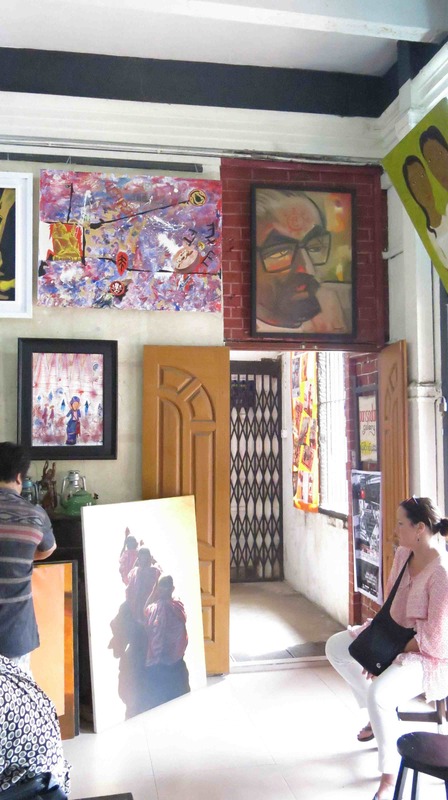 An exhibition honouring his work starts in the expanded Pansodan space, near Maha Bandoola. 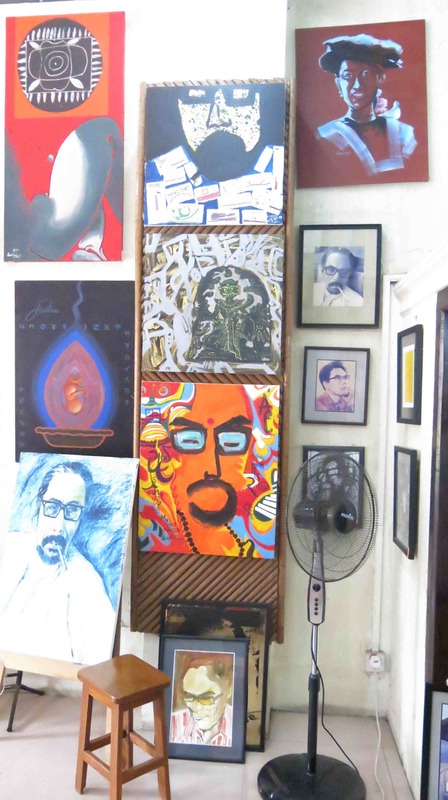 The staircase just north of Maha Bandoola on Pansodan, second floor. 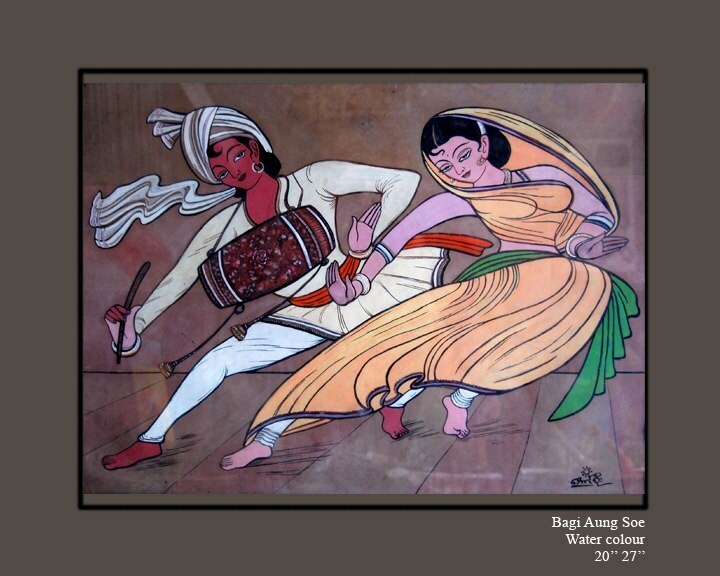 Bagyi Aung Soe left this life twenty years ago, but every time we come across his illustrations for poems, his magazine cartoons, or, much more rarely, one of his paintings, he springs to life in our minds. ဗဂျီအောင်စိုး ​ကွယ်လွန်ခြင်း နှစ်၂၀ ပြည့် အမှတ်​တရ (The legacy of Bagyi Aung Soe, on the 20th anniversary of his death) has been put online. All articles are in Burmese, but for those who love Bagyi Aung Soe but don’t read Burmese (yet — contact me for lessons) there are quite a few good reproductions of his work in black-and-white and colour. Download it from the Bagyi Aung Soe website, under Selected Texts. 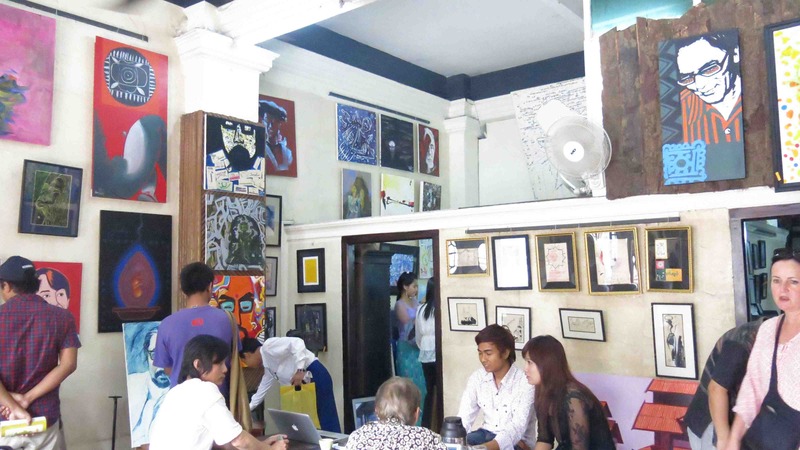 See the entry on his show at Pansodan last December for more links, information, and quotations, including a link to his book. 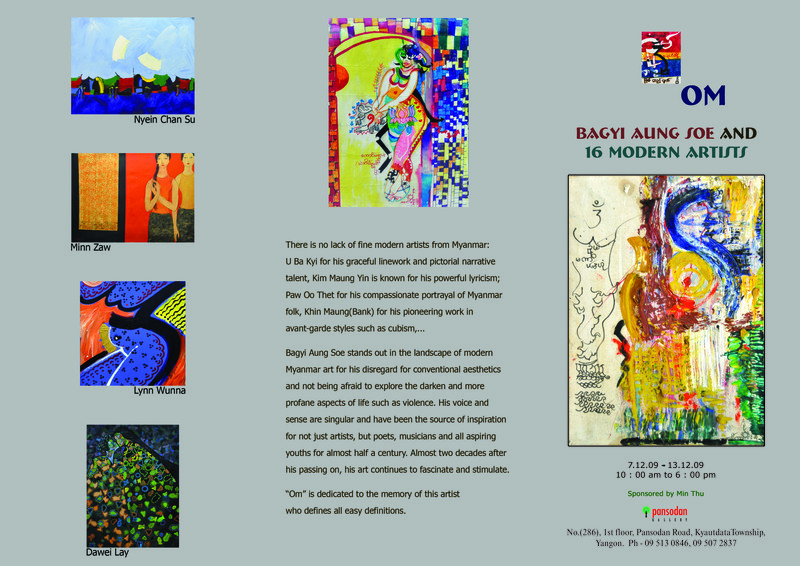 Bagyi Aung Soe was a pioneer of modern art in Burma. 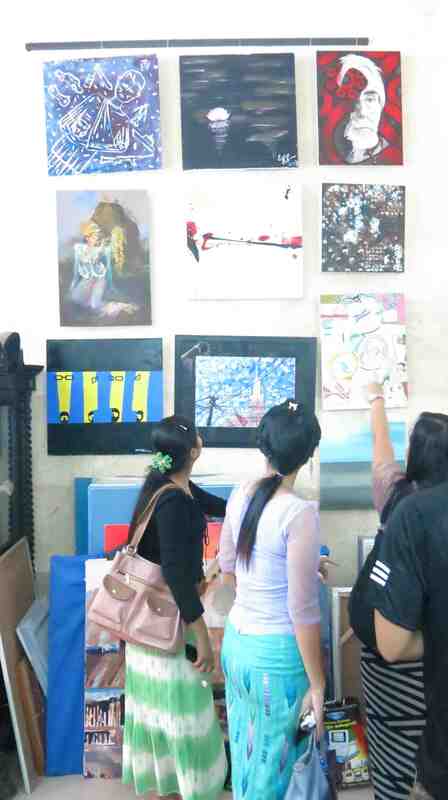 He drew and painted in a wide variety of styles and media. His illustrations for books and magazines were familiar to a large public. 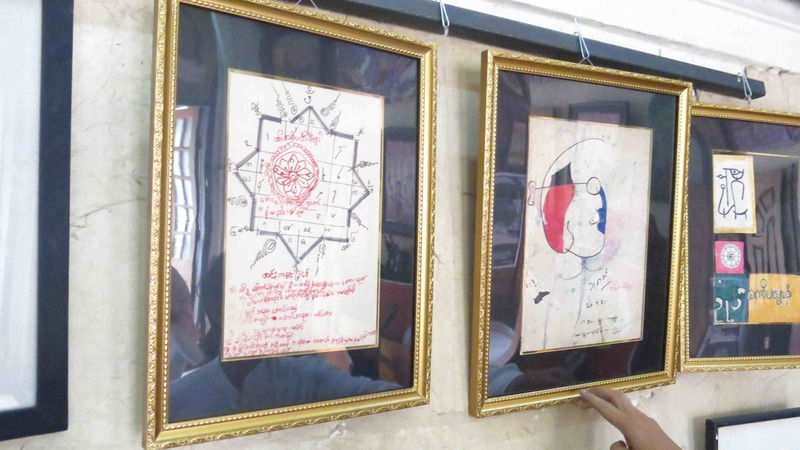 After coming back from a year at Rabindranath Tagore’s Śāntiniketan, he is credited with the first abstract painting in Burma, an illustration published in Shumawa magazine in early 1953. It was highly controversial at the time, with some people saying that Bagyi Aung Soe was mad. But he had a supreme confidence in what he was doing, and continued to explore wherever his freedom took him. His work, which often incorporates text into drawings, continued to impress with its intelligence and originality. Here is his book စာမဲ့ကဗျာ (Poetry without words), an e-book which unfortunately has low-resolution images.